Below are links to posts written by me and Will Baude while we co-taught our seminar on originalism. January 29 Will Baude Does originalism justify Brown, and why do we care so much? 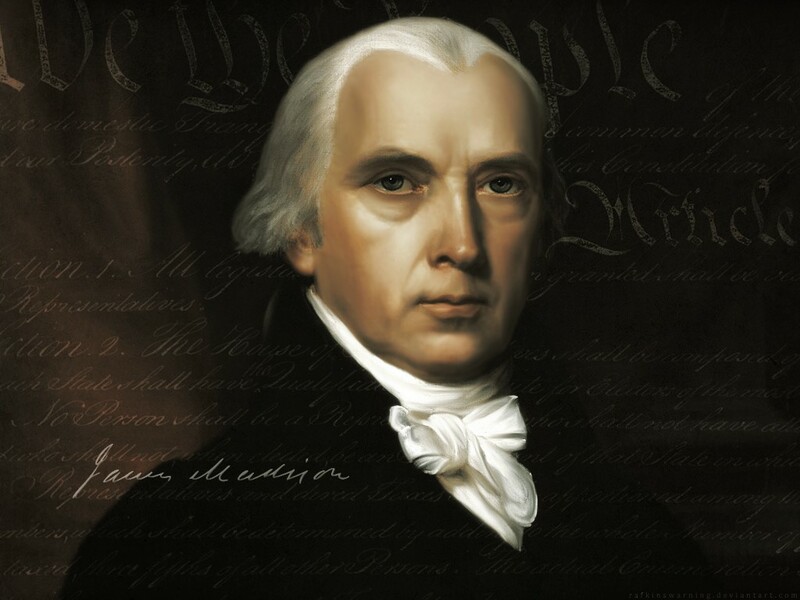 March 5 Eric Posner Is there a rule that government actors don’t change the Constitution? Thus in those days anyone who attacked the “Trusts” could achieve the same public worship as a minister of the gospel who had the energy to attack vice. It was this that made Theodore Roosevelt a great man. Historians now point out that Theodore Roosevelt never accomplished anything with his trust busting. Of course he didn’t. The crusade was not a practical one. It was part of a moral conflict and no preacher ever succeeded in abolishing any form of sin. Arnold seems to have saved his most savage (and sincere) condemnation for those poor well-meaning fools who would endeavor to make us live up to our articulated principles because doing so would destroy necessary institutions and cause serious social harm. They conclude that the myth of corporate governance is that shareholders control firms when in fact they cannot, which means that we must trust managers with billions of dollars and hope for the best. Any attempt to constrain managers would render the corporate form unworkable because shareholders cannot, practically, manager the corporation. Activists maintain their pay and prestige by keeping corporate governance battles in the public eye but in fact no one should hope that they succeed, and perhaps they don’t wish to succeed themselves. As Kahan and Rock presented their enjoyable paper at a corporate governance conference last week, I couldn’t help thinking: isn’t this the story of originalism? In our last class, we discussed Jack Balkin’s paper, Why Are Americans Originalist?, which I interpret as a sly debunking exercise. Balkin’s most interesting argument is that the turn to originalism in the 1980s was akin to Martin Luther’s repudiation of the Catholic Church’s monopoly over Biblical interpretation, with the Supreme Court playing the role of the Church. (You might think of the habit among libertarians of carrying around a pocket-sized constitution as the modern version of biblical translation into the common language.) 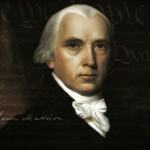 Originalism is a political strategy that became attractive because the founding-era meaning of the text coincided (very roughly) with the political goals of conservatives while at the same time appealing more broadly because of the patriotic, anti-elitist message that the Constitution contains the wisdom of the founders and we can all read the Constitution for ourselves. The students were pretty skeptical. But I do sympathize with conservatives of the 1970s and 1980s who saw the Warren Court as an ideological apparatus, and were contemptuous of the law professors at the time who sought to rationalize its liberal holdings with phony constitutional theories. The problem was that the alternative they came up with rests on a mythical self-image, or at least encourages people to treat mythology as fact, with all kinds of weird consequences for constitutional law. It’s as if the Germans repudiated their Basic Law and decided to derive constitutional norms from the myths of the Nibelungen. Or–to be fairer–from whatever archaeological research might reveal about the customs of Germanic tribes at the time of Tacitus. We polled students again–they polarized, which makes sense since they are more informed about what originalism means now than they were at the start of the course. But it bodes ill for the project of originalism itself since originalism can prevail only if that is what the people want. Is there a rule that government actors don’t change the Constitution? At an empirical level, I think it is certainly possible for constitutional change to occur through mini-revolutions or political evolution. But there remains the question of one, whether those changes are valid under our current legal rules, and two, whether they really occurred. I would say our current legal rules honor an important relevant principle in the text: government agents are not authorized to make constitutional change. They take an oath, and it is an oath to apply “this Constitution” that we have, and that reflects an important limit on the power that we the people have delegated to them. The people may well have a right to ignore the Constitution, but the government officials who happen to be their agents do not. I can’t make sense of this passage. How can constitutional change through a mini-revolution or political evolution occur and not be “valid under our current legal rules”? Doesn’t constitutional change of this sort just mean that the rules aren’t valid or are incomplete? Isn’t that what happened in 1789? No one cares that the 1789 text is invalid under the Articles of Confederation. Will then goes on to make a distinction between the “people” ignoring the Constitution and government officials. But this brings us back to 1789. Should government officials have declined to obey the 1789 text because they are “officials” rather than “the people”? It may be that Will is focused on government officials acting without the people’s blessing. But what if they in “good faith” (quoting Will again, as he suggests in another passage that justices act in good faith) believe that the people have chosen to change the Constitution? Aren’t they then obligated to defer to the will of the people? And note on this view limited government prevails: government officials can change the Constitution (or, I would say, recognize a change in the Constitution) only if they believe in good faith that the people have changed the Constitution. The oath clause argument is circular: the question is whether it refers to an unchanging text or evolving norms. Will’s first sentence is a large concession that is hard to square with originalism. Even if he thinks that no such evolution has occurred, he seems constrained to acknowledge that if it can occur, justices and other government agents should be on the lookout for changes in the people’s constitutional understandings, and should act accordingly if such changes occur. Will argues that the distinction between sense and reference rescues originalism from the charge that it can’t account for change. This strikes me as an interesting but odd argument. Odd because some defenders of originalism tout it precisely because it cannot account for change. If change is necessary, then Article V (or, as Will cheerfully observes, revolution) provides the mechanism. Moreover, one of the chief normative justifications for originalism is that it binds judges. In making this argument, Scalia cites the “reference” of the cruel and unusual punishment clause–the practice of capital punishment at the time shows that the ratifiers could not have been thinking about (“referring to”) the death penalty when they wrote down that clause. Thus, we know that the death penalty is not cruel and unusual. I don’t think Scalia made a philosophical mistake: the reference is obviously relevant when we are trying to figure out sense (or the “test,” as Will puts it) even if it does not exhaust the meaning. If following Will, we agree that reference should be discounted or ignored, then originalism loses some of its determinateness. Indeed, I don’t see the founding-era “sense” of “cruel and unusual” as being any different from what non-originalists think it should mean. Well maybe this doesn’t matter, and if it doesn’t, the dispute between originalists and non-originalists reduces almost to a question of what rhetorical flourishes we should ask supreme court justices to attach to their opinions. I say “almost” because some modern constitutional rights (for example, abortion rights) are impossible to reconcile with the sense of any provision in the Constitution. Or take the commerce clause. So, in the end, I don’t think the sense/reference argument–which is really just an argument that we give less weight to founding-era understandings than we might otherwise–saves originalism from its inability to account for change. I think Will’s argument is rather simply that originalism requires interpreters to interpret reasonably rather than unreasonably, and at least on that issue we find common ground. But I remain puzzled why, if Will believes that constitutional change can occur through revolution, it can’t occur through “mini-revolutions,” like Ackerman’s moments or even ordinary political evolution that results in new constitutional norms but does not repudiate the existing system altogether. We read papers by Bruce Ackerman, David Strauss, and Jeremy Waldron. I was familiar with this work, but rereading these articles after the originalism pieces, it was easier to appreciate Ackerman’s argument that common-law constitutionalism doesn’t come to terms with the role of popular sovereignty in American political culture. Who ever talks about the common law anymore? Or of great common-law judges? But then Ackerman’s “originalism,” according to which public deliberation takes the place of the Article V process, founders on ambiguity as to what counts as an amendment. I tend to think that the justices implement their ideological preferences subject to some real but hard-to-specify institutional constraints about which they are (sometimes) willing to hear argument, above all precedent. If that is common-law constitutionalism, I suppose I’m on board. But I prefer Waldron’s view that judicial review should be junked altogether, a view that has the happy consequence of making it unnecessary to take an interpretive stance toward the text. Some students thought that under such an approach, rights would no longer be protected, but it is plain that Congress and state legislatures do far more to protect rights than the Court does. Alas, Waldron’s position is as remote from American reality as Mars. For we could add to the four empirical premises of his argument (1–democracy, 2–responsible judiciary, 3–people care about rights, 4–people have good faith disagreements about rights), a fifth: 5–people think courts should resolve those disagreements. Will’s position on the role of normative arguments in the debate is unclear. He seems to think that they play some role, but what exactly? If the “conceptual” argument for originalism is strong, are the normative issues irrelevant? Are they some kind of tie-breaker? I would like to know more. Let us turn to the conceptual argument. Will likes Alexander’s and Lawson’s argument that courts are supposed to enforce the Constitution, and so they need to interpret the Constitution so that they know what they are trying to enforce, and interpreting the Constitution means figuring out what the original understanding was. But this is merely a semantic argument. Alexander, Lawson, and Will just define “Constitution” to mean “the text” rather than the set of norms that structure and restrict the government. That’s like saying that antitrust law is the Sherman Act rather than the body of norms that courts have created under the authority of that Act. This statement is either plainly wrong or based on idiosyncratic definitions. Steve Sachs’ argument is more sophisticated. Sachs is a positivist and he believes that, as a purely empirical matter, we Americans believe that our constitutional law consists of the original understanding, and any legal norms that appear to deviate it are invalid unless they can be derived from continuity rules that existed at the founding. If that’s what we believe, that’s the law, and if the justices have a duty to obey the law, then they should be originalists. Sachs does not actually cite any evidence about Americans’ beliefs, and for this reason stops short of claiming that originalism is right. Will does think that such evidence exists. Yet Americans seem to think that they have constitutional rights that protect all sorts of things that are not part of the original understanding. Will thinks that if forced to confront these inconsistencies, people would choose the original understanding over their favorite rights, just as people accept legal judgments about statutes and common law that turn out to violate strongly held moral intuitions about what the law is or should be. My view is that people continue to accept the authority of the Constitution and the Supreme Court precisely because the Court has recognized popular rights. In Sachs’ terms, our “continuity rule” recognizes the power of the Supreme Court to effectuate “amendments” to the text under certain conditions. I would add that it recognizes the authority of the other branches to do so as well. Second, I think Will gets our legal culture wrong. Originalism is a minority position supported by only two justices on the Supreme Court who practice it inconsistently, and hardly any others throughout our entire history. Continuity-to-the-last-generally-accepted-change-in-constitutional-norms is not the same thing as continuity-to-the-founding. Numerous justices and judges–Breyer is just one–have criticized originalism in the clearest of terms and have suffered no adverse consequences, no blast of public outrage of the sort that would occur if a justice said (to use Sachs’ examples) that we are bound by the French constitution or Klingon law or the Articles of Confederation. When President Obama said that he wanted an “empathetic” Supreme Court justice, everyone understood what he meant, and while plenty of people criticized him, his two choices have been confirmed. My last point is if we really think that the case for originalism is empirical (I have my doubts, but for another time), then there must be an empirical way to test it. There are all kinds of confounding problems–who is the relevant audience, for example, and how much do they need to know, and how large does a consensus have to be. But a simple starting point is a survey question that forced the respondent to choose between an originalist outcome and a popular one. Here’s one. In the course of searching a person’s home pursuant to a valid warrant, the police discover that the person owns birth control pills. The legislature of the state in which the search took place has recently passed a law making it a criminal offense to own birth control pills. This statute conflicts with Supreme Court precedent; however, the precedent itself is inconsistent with the original understanding of the Constitution in 1789, which does not mention contraception. Should the police arrest the owner of the birth control pills based on probable cause that she violated the statute? Should she be tried and convicted? I realize that some originalists believe that precedent matters. But under the continuity version of originalism described by Sachs, this seems like a straightforward test case. Or if not, I’d be pleased to hear a better one. Originalism sometimes produces living constitutionalism, depending on how abstract a provision is, how clearly its meaning is known, and how much that meaning was intended to evolve. Originalism sometimes permits precedent, depending on how clearly a precedent can be shown to conflict with original meaning, certain forms of reliance, etc. When originalism permits precedent, the original meaning sometimes “plays a role” by helping judges figure out whether the precedent should be extended or distinguished in future cases. In each of these cases, the originalist answer can only be figured out by actually doing the work. Well, okay, but this pretty much eliminates one of the major defenses of originalism–advanced forcefully by Scalia among others–which is that it dictates determinate case outcomes. This is crucial for Scalia because he fears that otherwise judges will allow their ideological preferences to influence interpretive outcomes. Finally, Will says that his theory of originalism offers “safety valves,” including amendment and illegality. I hope to learn more about why one should think that the Article V procedure offers an acceptable safety valve. What are the criteria for determining whether a safety value is acceptable or not? His endorsement of “illegality”–presumably the idea that the justices or other political actors should simply disregard the original understanding when it produces unacceptable outcomes–suggests that Will doesn’t think that Article V is in fact adequate on its own. The illegality safety value raises anew the question of determinacy: how, except by falling back on discretionary and contestable judgments about moral and political values, can one justify ignoring the original understanding? How can originalism ever rule anything out if illegality remains a morally valid option for interpreters and other agents? Originalism suggests that somebody other than the interpreter gets to make important policy decisions, even if that other somebody might sometimes choose to delegate back to the interpreter in the end. Hence, there is no guarantee the interpreter will like the answers, though it is also a mistake to assume that the interpreter will hate them. He has made this argument before, and I’m afraid I disagree. All alternative interpretive methodologies I can think of provide no guarantee that the interpreter will like the answers. This was one of the points that Randy Barnett made in his debate with Sunstein, who was trying to debunk originalism by showing that it would permit racist and sexist laws. Barnett responded that Sunstein’s preferred approach, minimalism, also does not guarantee (for example) that the Supreme Court will order the government to provide welfare to poor people, an outcome that Sunstein presumably would approve of (according to Barnett). Another appealing interpretive methodology–Thayerianism–obviously would give the interpreter no recourse if Congress decided to abolish the national bureaucracy. Originalism is itself a choice. Proponents of originalism must make arguments on behalf. And this creates a paradoxical problem for its defenders like Will, who says “if you are intellectually honest, signing on to originalism is signing on to a theory of authority where you can’t be guaranteed in advance that you’ll like what you find.” He’s right that originalism won’t get off the ground if it just advances the political preferences of a small group of people. As I said, the same is true for other methods. The question is what does it get us beyond that? And to answer that question, he must show that it is superior to other methods, presumably by advancing institutional values that everyone or nearly everyone shares. In this respect, originalism is no different from other methods. 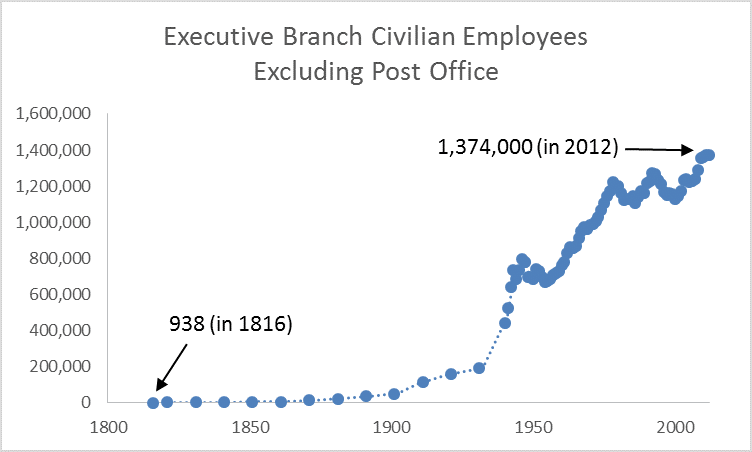 This graph shows the ratio of federal (civilian, non-post office) employees to legislative employees (Congress and its staff) from 1815 (executive = 938, legislative = 243,) to 2010 (executive = 1,360,000, legislative = 31,000), or from a ratio of 3.9 to 43.9. The rise in executive power is inexorable; you’ll see the same pattern in the states and in foreign countries. It reflects deep forces that are unresponsive to ideological swings. 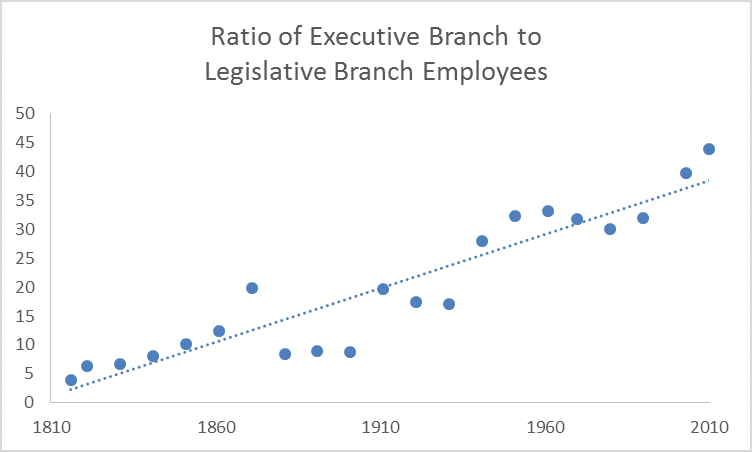 It shows that with the passage of time the executive’s influence on policy outcomes increasingly outstrips that of Congress. Most critics of originalism focus on the problems that this methodology poses for current equality-related values, e.g., race relations. The problems that originalism poses for government structure are even greater. Let me anticipate Will’s response, which I expect will be that originalism doesn’t necessarily preclude modern government structure. That is something to be determined. But my view is that any methodology that could even possibly entail that we must return to a government structure appropriate for a small agrarian society, a structure that exists nowhere in the world today, is off the table. Here is a response from Michael Ramsey to my earlier post on precedent. Will misses the point of my graph, though that’s my fault, as I didn’t supply much of an explanation. My point was not that it’s a shame that 3 NLRB members don’t get appointed, or an NLRB order is vacated. Nor is it my view that the government should be as large as possible. My point was instead that the rules that the founders developed to address government structure reflect a different world, and hence are unlikely to be reasonable for our purposes. The founders tried to establish what they called a “republican form of government,” in which most policy would be made through public deliberation and debate. Whatever the merits of such a position in the 18th century, it is completely wrong today. We live under what might be described as a bureaucratic-legal system. Nearly all policy is determined by the bureaucracy subject to very general control by elected officials and judges. This is inevitable in any large country. I can’t think of a single historical or modern example of a large country (aside from failed states) that does not use a vast bureaucracy to determine and implement policy. The only real exception is the U.S. federal government in its first few decades, and that is because in the early years local interests were not yet ready to yield power to the center, and a largely agrarian with mostly local markets did not need national regulation. It may be reasonable to believe that the U.S. government is too big today. But does anyone think the right size is 938 employees (actually the 1816 figure, the earliest I could find)? Will says he’s “inclined to say that [originalism] provides a benefit by giving us a baseline set of institutions from which we can depart if we marshal sufficient consensus.” But we have marshaled such a consensus; it is reflected in 200 years of institutional development that has been ratified over and over by different configurations of political interests. It is not my view, contrary to Will’s suggestion, that I know best how the government should be structured, and my views should be implemented by the Supreme Court. My view is that as between the originalist baseline (which Will is confident is correct) and the status-quo baseline, the status-quo baseline is a better one. My position does not require any special “confidence.” Will is just smuggling in a bias for originalism by arguing otherwise. Will criticizes Cass Sunstein for attacking an extreme form of originalism that Will says that no sophisticated originalists believe. Sunstein says that originalism threatens to destabilize the U.S. constitutional system by throwing into doubt apparently fundamental principles that are inconsistent with the original understanding (in such areas as equal protection, freedom of speech, and takings, among others). Or if it doesn’t–if one is a “faint-hearted” originalist who accepts precedent–then one isn’t an originalist at all. Will responds that sophisticated originalists do give weight to precedent, and thus Sunstein is attacking a straw man. Similarly, in response to an earlier post of mine, he said that an originalist might believe that the original understanding requires courts to defer to precedent; thus, originalism is not necessarily inconsistent with stability. I’m skeptical of Will’s defense. For one thing, there is a confusion here between originalism-as-justification and originalism-as-interpretive-methodology. The debate–to the extent it has any practical relevance–is over the latter. If you persuade yourself that the original understanding justifies the methodology of the “living constitution,” and then you want to decide cases like Justice Brennan, Sunstein is not terribly worried about you. It’s like a theologian who argues against science by claiming that God chooses to make everything act according to the laws of physics and otherwise never intervenes. He preserves God but otherwise gives away the game. Similarly, Sunstein will have little problem with originalists who give weight to precedent for other reasons, as long as they give enough weight to precedent that the original understanding itself rarely or never plays a role in actual judicial decision-making. Will is never very clear who the originalists are who take such an approach, but I, at least, haven’t found very many. Will himself appears to believe that the Supreme Court should revisit settled doctrine if new evidence of the original understanding emerges. If so, and he is certainly a sophisticated originalist, then Sunstein is not criticizing a straw man. Will has a “big tent” theory of originalism that allows originalism to survive attacks like Sunstein’s because within that tent there is always a moderate version that critics like Sunstein have no problem with. (For another example, see here.) Since they remain standing, “originalism” survives. Will himself commits the fallacy of mood affiliation by suggesting that the extreme versions are unobjectionable because they occupy the same tent as the moderate versions that lack the features that Sunstein objects to. Noel Canning is the cleanest test for originalism you could ask for. The class (or most of it) seemed to agree that the most natural interpretation of the recess appointments clause, in founding-era context, is that the president can fill an office only if the vacancy opens up during a recess, and probably an intersession recess. I would qualify this point in the following way. In the years after ratification, government officials who sought to make sense of this clause thought of it in this way; at the time of ratification, there is little evidence that anyone gave it much thought. In any event, it seems likely that the Supreme Court will rule for Noel Canning. If so, that’s a shame. For my reasons, see the graph above. 1. Will has on several occasions argued that when a critic points out a particular defect X or Y in originalism, the critic must also show that some other interpretive methodology does not suffer from that defect, or is not otherwise inferior to originalism. It takes a theory to beat (or outrun) a theory. This is not exactly right, though it contains an element of truth. Some theories are so bad that one can condemn them without comparing them to others. The theory that justices should consult the Zodiac in order to resolve disputes is one. At some point, we will need to examine alternative theories and see how they measure up to originalism. But in the meantime, it is pragmatically implausible to insist that one must constantly juggle all the theories at once (how many?) in order to be justified in pointing out a problem with one of them. 2. Will says “I see our government strictly following the founding-era document a huge amount of the time.” The modern system of governance in this country is vastly different from what existed in the eighteenth and nineteenth centuries. If it is consistent with the text, that can only be because the text is so vague and full of holes, undefined terms, and so on. Any style of originalism that can accommodate the current system of government has hardly any constraining force at all. 3. Will says “I think many (though not all) invocations of originalism are sincere.” Frank Cross’ book is the most rigorous effort to test this hypothesis and he finds no evidence that originalism constrains justices. It may be, as Cross suggests, that this reflects motivated reasoning rather than insincerity, but the effect is the same. This is also a problem for Will’s claim in a more recent post that originalism can constrain judges. Will says that he’s not sure whether Brown is right or wrong as a matter of original meaning, and even if it is wrong, this kind of problem–a popular case being inconsistent with an interpretive theory–is not unique to originalism. Moreover, it is a mistake to judge an interpretive theory by its moral goodness, he says. The last point is in tension with the first, and the first point is in tension with one of originalism’s supposed advantages–that it produces determinate results. But time and again, the original meaning turns out to be obscure, and so either courts must be willing to continually reevaluate precedents as new historical research is produced (which is unacceptable from the standpoint of judicial economy and legal stability) or the original meaning loses its ability to exert influence on legal outcomes as precedent accumulates. Will says in response to Klarman’s criticisms of McConnell that it’s really hard to determine what the original meaning of the 14th Amendment is, and new evidence and analysis constantly appear more than a century later, so maybe eventually we’ll agree that Brown is consistent with the original understanding after all. But this is a defect of originalism, not a virtue. An interpretive method that can’t account for Brown, or treats it as an epicycle, is useless. It provides no guidance to people as they decide what laws to pass and how to plan their lives, or any guidance to judges who seek conscientiously to extend the constitutional tradition. I’m not sure how otherwise one derives a justification for an interpretive methodology. From some readings and some of Will’s comments, I see two possibilities. First, originalism is right just because Americans are originalists. I don’t think that’s true. Americans support Brown and will continue to do so regardless of what historians eventually show. Second, originalism is right because we are bound by a written constitution; it’s simply the consequence of a larger commitment to constitutionalism. But the constitution in practice is just what the various branches of government agree are the rules of the game at any given time. In their hands, the founding-era document is little more than a rhetorical flourish, used strategically. That is our political culture, one that happens to require ritual obeisance to the founders. 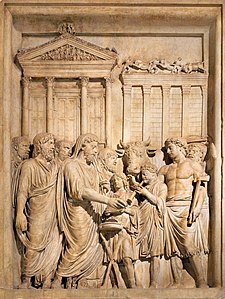 Thus would the Roman priests examine the entrails of birds in preparation for a great political event. How long would one of those priests have lasted if he really thought he could discover in those entrails the will of the gods? What should originalists do about precedent? If they respect it, then the original meaning will be lost as a result of erroneous or non-originalist decisions that must be obeyed. if they disregard it, then Supreme Court doctrine is always up for grabs, subject to the latest historical scholarship or good-faith judicial disagreement (as illustrated by the competing Heller opinions). One can imagine intermediate approaches: for example, defer only to good originalist precedents, or defer only when a precedent has become really really entrenched. But while such approaches may delay the eventual disappearance of original meaning behind the encrustation of subsequent opinions, they cannot stop it, sooner or later. Our readings–Lawson, McGinnis & Rappaport, Nelson–provide no way out that I can see. (Lawson dismisses the problem, while the others propose intermediate approaches.) Originalism has an expiration date. Another issue is raised by McDonald–the gun control case. In Heller, Scalia disregards precedent in order to implement what he thinks was the original understanding of the Second Amendment. In McDonald, he writes a concurrence that cheerfully combines Heller with the anti-originalist incorporation decisions. Why doesn’t he feel constrained to revisit those decisions? Instead, he joins a holding that generates constitutional doctrine that in practical terms is more remote from the original understanding (gun rights that constrain the states) than he would have if he had gone the other way in Heller (no gun rights at all), given the greater importance for policing of the state governments both at the founding and today. This is akin to the second-best problem in economics: partial originalism–originalism-and-precedent–may lead to outcomes that are less respectful to original understandings than non-originalist methodologies would. *** Will responds; his VC colleague David Bernstein’s post about the clause-by-clause problem is also worth reading. Jack Balkin, Why Are Americans Originalist? This short, good draft by Balkin (with a very high ratio of ideas to words) seeks to explain the rise of originalism. A starting point is that originalism is (virtually) uniquely an American phenomenon, and a national (not state) phenomenon. Next there is the central role of the founding as a unifying origin myth; the huge impact of the founders in our cultural memory; and the Protestant tradition with its preoccupation with sacred texts and yearning for a purifying return to the fundamentals. But why now? 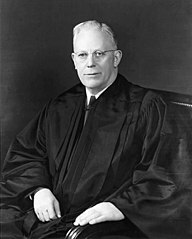 Jack thinks that originalism avant la lettre got started after the New Deal when Justice Hugo Black felt that he needed a justification for overcoming the New Deal quasi-tradition of judicial deference, and took off when conservatives realized that they could use it to bash Warren Court precedents plus Roe v. Wade. Maybe also it is a reaction to modernist anxieties about political foundations provoked by the radical constitutional innovations of the twentieth century. I like this piece but my initial reaction is that Jack treats originalism as too much of an idiom–a cafeteria meal from which one may pick and choose–and doesn’t take seriously its constraining power in legal argument. While it’s true that Scalia and Thomas invoke it selectively, and the historical materials are frequently ambiguous, there is a reason it took off in the 1980s rather than the 1950s, and that is that originalism really is conservative, whereas the Supreme Court in the 1950s was liberal. The founders were conservative by today’s standards. They cared a lot about property rights, for example, and very little about discrimination against ethnic groups, sexual freedom, and so on (to say nothing of slavery). So I do not think originalism is as malleable as Jack does; it’s not like speaking Italian rather than French but exerts a right-wing gravitational pull. 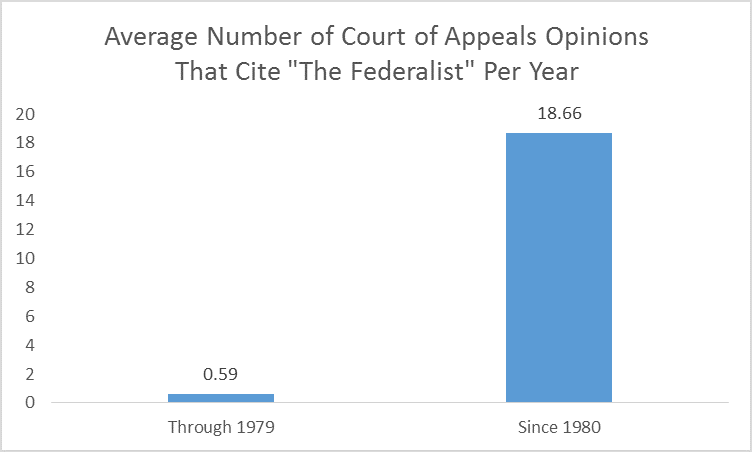 There is a reason (as the data show) that conservative justices are more likely to cite The Federalist than liberal justices are. How did the Republic survive its first 190 years? Source: Westlaw.